The vast majority of people who buy music today buy it via streaming, or individual purchases, and then drag and drop the files onto their phone, DAP, or carry it on their laptop. There are now a ton of competing portable DAC/Amp’s in the market place that are all attempting to convert that musical storage into audiophile goodness with various knobs and whistles alongside promises of ever increasing resolution. Tech moves fast though, and year after year what seemed spot on yesterday is now just gathering dust as the next big ‘thing’ comes along. Usually this is software driven, codec driven, connectivity driven, or a combination of all three. However, no matter what the driver is, a lot of these portable units become obsolete fast and then, all of a sudden, a new version is released with new chips and new features much like Samsung and Apple smartphones. It can be very frustrating to see your FiiO X5 suddenly become the X5ii and the Sony PHA-1 become the PHA-3 a year or two later. As a result, design and feature sets seem less and less likely to be able to accommodate a change without a fundamental redesign. Part of this constant upgrade path issue is due to the competitive pressure to service the ‘here and now’ as manufacturers find limitations in the actual materials that they use to build their technology. It is much the same with DAC chips as the black art of implementation, along with the type of chip being used, can greatly affect the longevity and capability of the gear being sold. This is what I love most about the Mojo from Chord Electronics. It is a portable DAC/Amp designed entirely from the ground up and, when I say this, I mean the DAC implementation inside and not just the vision. Yes, the Hugo has been out there for a while now and, technically, this ‘build from the ground up’ aesthetic is the same, but with Mojo it feels like we have a product here that is not only great in terms of quality, but more succinct in terms of joined up thinking. In short, a greater understanding of what I actually want to do with my music. So that is why I never could figure out the technical specifications to the Hugo and the Mojo. I am looking for name dropping; ie. what’s the DAC chip? Where is it? I don’t recognize a name? No CS? No Wolfson? No Sabre? What is Chord using for a chip? The simple answer is that Chord has opted to not use other company manufactured DAC chips, instead they design their own conversion process to their own standards with the help of an FPGA (field-programmable gate array). For Chord Electronics, as a manufacturer of high end audio products, this is a liberating and a highly empowering position to be in. For example, if I want to service a need in the audio market and I make my own conversion process, then there is very little need to compromise using DAC chips other than for financial and marketing reasons. The Mojo works by simply joining up pretty much all of the main sources of music we use today into one small tiny portable box. Essentially Mojo decodes the digital music file and then outputs the resulting analogue waveform into your headphone of choice using an advanced proprietary DAC design platform owned by Chord themselves. With Mojo, this is done at a fraction of the price of Hugo, but is still to a standard that is simply not a fraction of Hugo quality. Everything inside the Mojo is geared to the quibbles and complaints that we have today in terms of connectivity, power, impedance, sensitivity, and codec resolution. All of the aforementioned caveats seem to crop up with only a handful of other competing portable DAC/Amp designs. 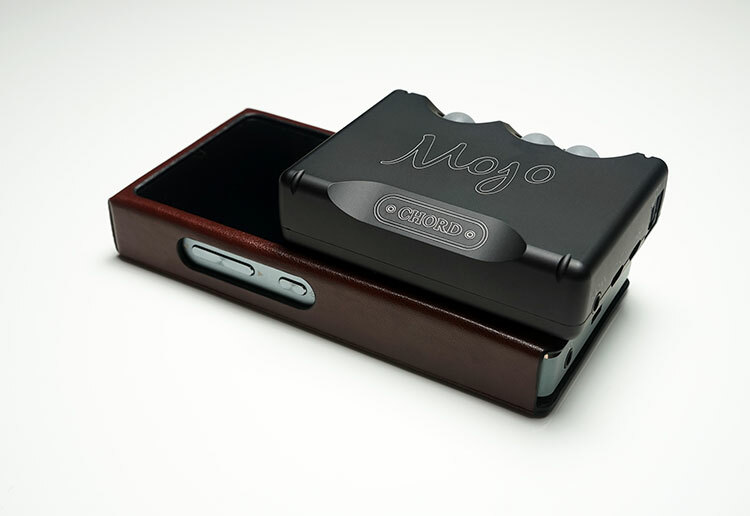 However, the Mojo is a very modern and advanced portable DAC/Amp, which is, indeed, one that has benefited directly from the endless feedback that Chord Electronics received off the back of Hugo since Hugos launch. Superficially this is nothing new in terms of portable DAC/Amp’s out there purporting to be the answer to your all in one audio needs. For example, you have the Oppo HA-2, Celsus Companion One, Sony’s own PHA products, and iBasso’s D14 to name, but it is to be noted that there are other designs at a cheaper, or similar, price that are all able to deliver perfectly good sound from your smartphone. The key difference between these designs, and the Mojo design, is that DAC implementation, and the programming around it, is wholly developed by Chord and not “bought” from another supplier. This is a very different process and, quite simply, light years ahead of the competition. Simply put, the Mojo does not have an industrial chip DAC inside it at all. Instead, Chord work with a series of powerful and very customizable processors (FPGA), which act as powerful blank canvas for Chord to paint, or layer, their own in-house software onto it. This code is so powerful that Mojo is capable of some truly insane sample rates. It is a fact that no other DAC at this price can match this. I remember reviewing the Kingrex UD384 a few years back and commenting that the 384kHz sampling rate it was capable off was highly unlikely to surface as a viable commercial sampling rate to deliver quality audio. Well, the Mojo trounces that by offering a very future proofed ability to decode signals up to 768kHz. True enough there are still very few, if any, commercially available tracks encoded at 768kHZ. But, given that where we are with PCM and DSD, one can only guess that it is a matter of time before someone tries to sell yet another Beetles remaster with a limit approaching that level. Technology is moving fast and DAC units are usually the first to suffer from premature aging in terms of new capabilities, or functionality. Chords use of FPGAs from Xilinx, complete with 64-bit DSP and advanced WTA filters, completely avoid the traditional multi-chip solution. In doing so it keeps the whole device very future proofed, highly jitter free, as well as allowing everything to squeeze into that tiny physical shell and still have plenty of flexible power on tap for the output of your choice. To put this capability into further context just look around for those units that tout this sampling capability, and their respective ‘niche’ position in the marketplace, and price and you quickly begin to understand why the Mojo stands so tall for such a small unit. Antelope with the Zodiac Platinum and the Da Vinci DAC MKII are hardly units to be sniffed at; they cost a small fortune. Yet here is the tiny Chord Electronics Mojo at $599 purporting to be able to decode at the same level. Physically the Mojo is a lot smaller than the Hugo. It is also smaller than just about any decent portable DAC/Amp I have used to date aside from say the very average performing AK100, and some budget FiiO units. The closest in size may be the Cypher Labs Picollo, or the Just Audio UHA-120. It is also surprisingly weighted in the hand for its marginal girth and certainly built like a tank. I suspect these two qualities are very connected. The smooth and curved lines of the Mojo aluminium chassis make it a joy to hold though. The Mojo is 100% free of sharp corners, fiddly switches and protruding ports. It is a rather harmonious and holistic design in many respects with everything just within a ‘thumbs’ distance for easy manipulation. Of course, nothing is perfect and despite its yummy smoothness in my hand it looks nothing like the kind of typical source gadget Chord are targeting – the smartphone user, be it Android or Apple. It is almost old school in its form factor, being more of a “box” then a svelte mirror of the source. 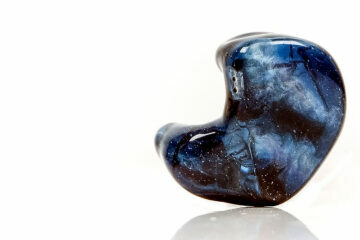 Units like the FiiO E18 and Oppo HA-2 mimic the mobile phone shape to a tee. Strapping one of them under a mobile phone just looks right. The Mojo’s boxy approach makes is less of an aesthetic match in that sense, and stacking feels somewhat less balanced when paired with a phone or an X7 DAP. The rather curious obsessions with orb like light displays on the panels from the Hugo also continues with the Mojo but this time it is more purposeful and immediate. Instead of being splashed all over the front plate, Chord have aligned them to one side with very clear decals indicating what they primarily do. Two are for volume (plus and minus), and one is for power. However, those little orbs are more than that and you would be unwise to throw the box out because on the inside panels of the carton there is a whole range of color sequences that the Mojo orbs can display denoting the codec sampling rate currently in operation. Red for 44k all the way up to a white light for DSD. In between you have a mixture of yellow, green, blue, purple etc for rates up to a blindingly high 768k. Also, a number of orb pressing sequences will give you some differing function capabilities within the Mojo. For instance, pressing both volume buttons during power-up will give you a line-out signal for use as a pure DAC connected to a digital source. Once powered on that same combination will dim the lights on the orbs so to speak should you find them too bright for your liking. The Mojo is a trifecta of modern portable and desktop connectivity (excepting BT and wireless). It has three digital inputs including coaxial, optical and USB. There is no traditional analog line in, however, so those wishing to perform a regular stacking trick using the line out from a DAP, or another source, might be disappointed since it will not operate purely as a secondary amp to another DAC or source. It can, however, deliver a line out signal as a DAC connected to a source through the previously mentioned double volume button pressing when powering up. Each digital input is capable of decoding at various levels with variable outputs depending on which one you select. Micro USB input – designed primarily for interfacing with MAC, PC, Android, and iOS the micro USB input is capable of 44kHz to 768kHz PCM and DSD64, DSD128 and DSD256 in DoP format. For Windows, this is driver based (nothing new there) and the drivers are available for download on the Chord website. 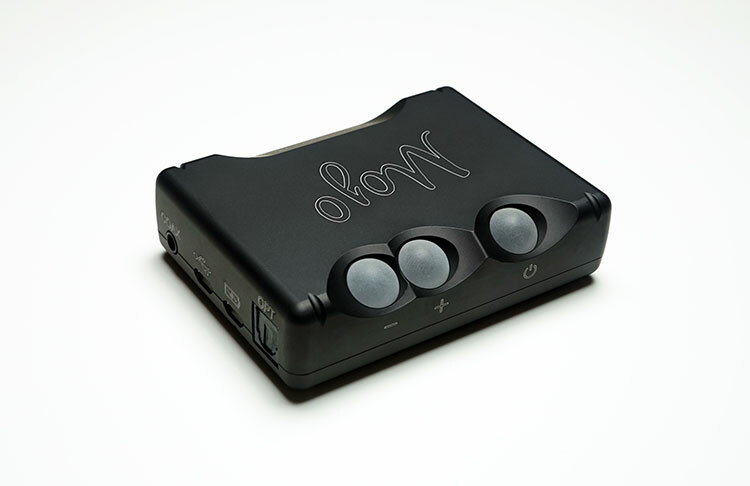 Optical SPDIF input – for all those with sources that can handle optical output such as Astell & Kern DAP’s, some Macbooks and other transports etc can sample at 44.1kHz to 192kHz PCM and DSD64 in DoP format. 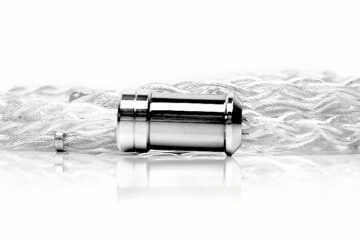 Mini Coaxial (3.5mm) input – for those who enjoy iBasso and FiiO DAPs for example, can sample at 44.1kHz to 192kHz PCM and DSD64 in DoP format. The front panel has a dual 3.5mm headphone jack output. No balanced 2.5mm TRSS here but good old 3.5mm unbalanced. Both will output stereo so you can run two earphones or headphones at the same time without degradation in power or sound quality. Good news for our best headphone wearing buddy then. Charging is separate to USB connectivity for decoding however both are functional through a dedicated micro USB slot between the mini coaxial input and the toslink optical input. 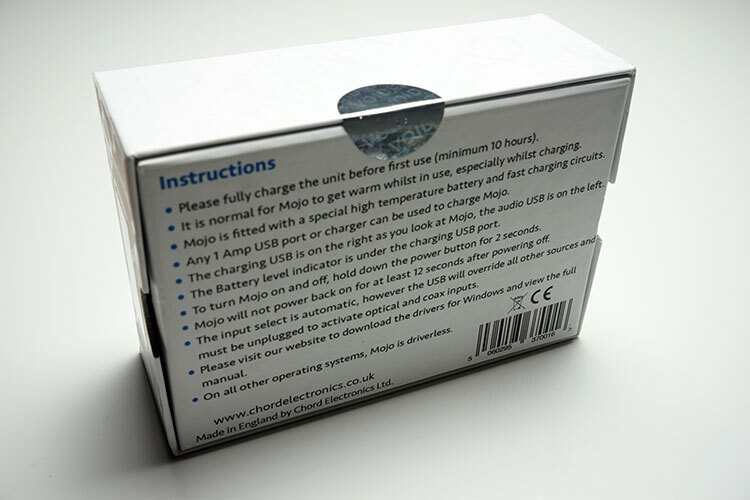 Chord recommends that you charge the Mojo for an initial 10 hours before using it, which basically means taking your shiny new Mojo out of the box when you buy it and charging it overnight (yes, I sometimes like to sleep for 10 hours, who doesn’t?). After which, the regular charge time of 4 hours will suffice giving you a rather normal 8-10 hours of playback time. It’s not a ground breaking battery life span if I’m honest. 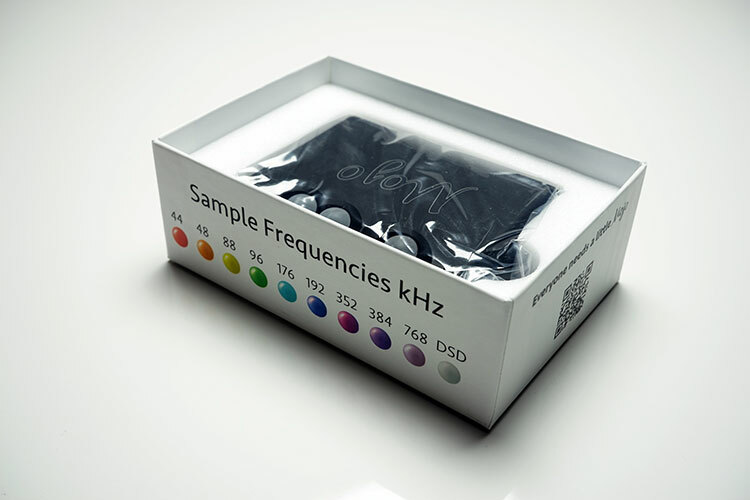 Anywhere between 12 to 18, or even 24 hours, are being touted by the likes of FiiO, Cypher Labs and Oppo. In fact the Oppo offers something called VOOC rapid charging, which reduces the charging time to less than an hour. However, given the far higher rate of sampling capability on offer along with its [soon to be discussed] power handling on large headphones, it is possible that this battery rating for the Mojo is actually a decent compromise.